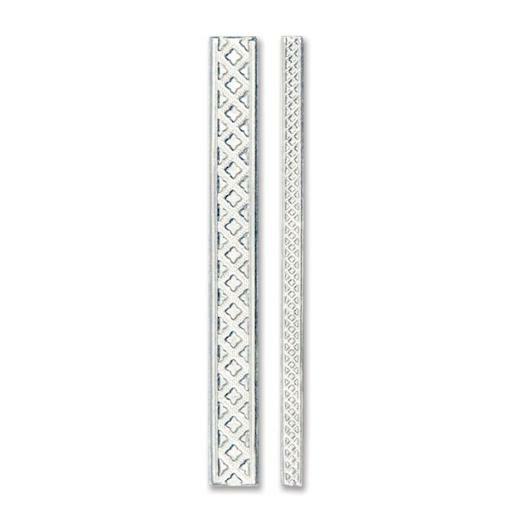 Delicate, embossed trim is the perfect finishing touch for all kinds of mixed-media makes. The Lattice Trim 3-D Impresslits™ Embossing Folder by Tim Holtz® cuts and embosses at the same time, making sculpted borders in two different sizes with incredible dimensional detail. 13.65cm x 0.64cm - 13.65cm x 1.59cm.